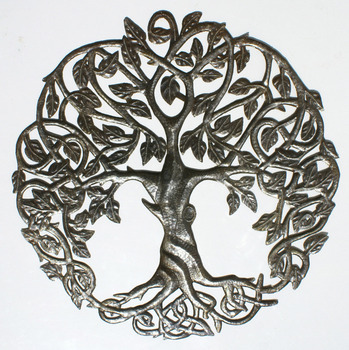 Tree of Life Metal Wall Art Decor Oil Drum Art Indoor and Outdoor Ornament Sculptures Retail and Wholesale, Size 24"
Metal tree of life made of recycled oil drums. Art of Haiti. Size 60cm (24"). Need custom size or custom metal work? Send me message.